This book introduces the capability approach – in which wellbeing, agency and justice are the core values – as a powerful normative lens to examine technology and its role in development. This approach attaches central moral importance to individual human capabilities, understood as effective opportunities people have to lead the kind of lives they have reason to value. 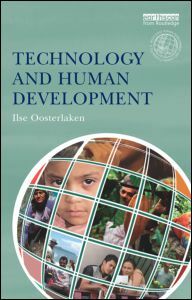 The book examines the strengths, limitations and versatility of the capability approach when applied to technology, and shows the need to supplement it with other approaches in order to deal with the challenges that technology raises.